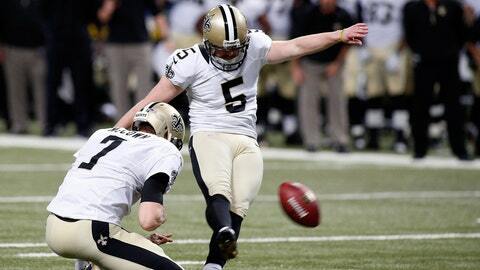 New Orleans Saints kicker Garrett Hartley (5) attempts to kick a field goal from the hold of Luke McCown during the fourth quarter against the St. Louis Rams at the Edward Jones Dome. I would like to start off by saying I have been blessed with the opportunity that the @Saints & ownership have given me. The memories that were made with this team will live in my heart forever! I can’t say enough for my teammates and their support..
And finally the Who Dat Nation. Y’all’s passion for the game and this team are second to none.. It’s been an honor to wear the Black & Gold.